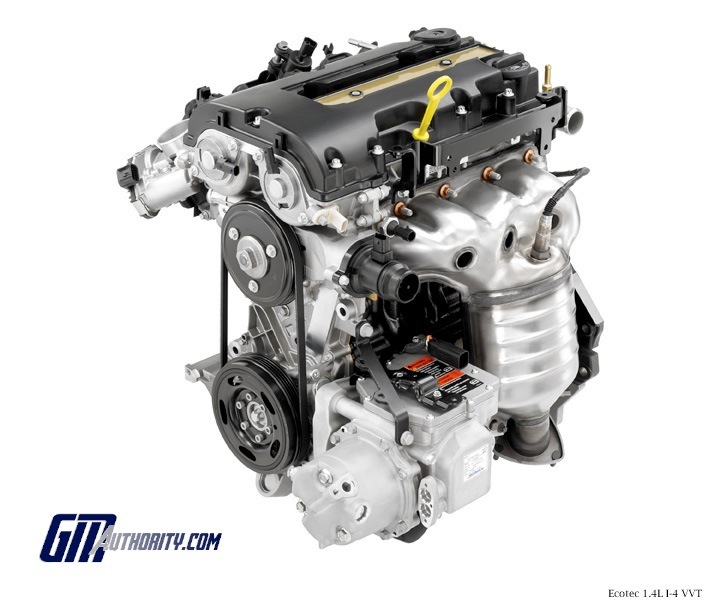 The 1.0L I3 Ecotec LDB is an engine produced by General Motors for use in subcompact cars. Displacing 1.0 liter in an inline 3 configuration, the naturally-aspirated LDB serves as the standard engine for the Opel/Vauxhall Corsa. The LDB is targeted at those customers in the economical small vehicle segment for whom low fuel consumption is a top priority. The engine is designed to be used all over the world, capable of meeting legal and performance requirements in those regions. Notably, LDB’s cylinder block is made from grey cast iron and its cylinder head is made of cast aluminum. Cylinder Block and Structural Oil Pan: the LDB’s cylinder block is made of strong gray cast iron, with five reinforced main bearings. To minimize weight, it features hollow-frame construction, making it about 20 percent lighter than a conventional casting. The block also incorporates a gray cast iron bedplate that helps reduce engine vibration; and the cylinders within the block are triple-honed for a smoother finish that minimizes piston friction and overall wear, while also optimizing oil and fuel consumption. An aluminum oil pan is designed as a key structural component of the engine, adding stiffness that helps improve vibration characteristics. Variable-Flow Oil Pump: the LDB uses a unique variable-flow oiling system that helps maximize fuel efficiency. Rather than the linear operation of a conventional fixed-flow pump, it is accomplished with a crankshaft-driven oil pump that matches the oil supply to the engine load. The engine’s variable-flow pump changes its capacity based on the engine’s demand for oil. This prevents using energy to pump oil that is not required for proper engine operation. Variable Valve Timing: the dual-overhead camshaft arrangement of the engine employs dual, continuously variable cam phasing to adjust the engine valves’ opening and closing timing for optimal performance, fuel efficiency and emissions across the RPM. Cylinder Head: an aluminum cylinder head with dual-overhead camshafts and four valves per cylinder is used on the LDB. The head’s intake port design optimizes performance, efficiency and emissions by promoting greater charge motion of the intake air and a more complete burn of the air/fuel mixture. Hollow-cast and chain-driven Camshafts: the pair of camshafts in the engine are hollow and lighter than conventional solid shafts. Along with helping reduce the overall weight of the engine, they lower the inertia of the valvetrain, allowing the engine to rev higher and more quickly. The camshafts are driven by durable chains. Roller-finger camshaft followers: a low-mass DOHC roller-finger camshaft follower is used to minimize friction and maintenance. It operates with very low frictional losses, helping enhance efficiency and lower emissions. The hydraulic lash adjusters and the chain cam drive require no maintenance during the life of the engine. Electronically controlled thermostat: the coolant thermostat’s operating point is electronically controlled to optimize engine temperatures during different phases of operation to enhance fuel efficiency. The engine control module monitors sensors and controls the thermostat based on mapping that takes into account the wide range of engine operating conditions, including temperature and load. Engine Mass (kg / lbs) 87 kg / 191 lbs.